I have really missed running outside. Since the average highs in NC are at least 90 degrees on a daily basis, my weekday runs have been moved inside to the treadmill. I got spoiled training in the spring with the nice weather! I ran without headphones so I could take advantage of the quiet morning. It was so peaceful and calm; all I could hear were chirping birds waking up and the occasional buzz of a bug. (Speaking of bugs, I’m pretty sure I inhaled one within the first 5 minutes. I do hate running with bugs. Not the first time that’s happened though and certainly won’t be the last.) I waved at other runners and people walking their dog, and really enjoyed the “me” time so early in the day. I wish I could always get up and run outside before work, but it’s dark outside when I would have to get up. That humidity is still slowing me down. It was something like 28 minutes for 3 miles. A full 3-4 minutes slower than normal. I’m not too upset about it though, it was just a run and not a pace run, so it’s probably for the better. 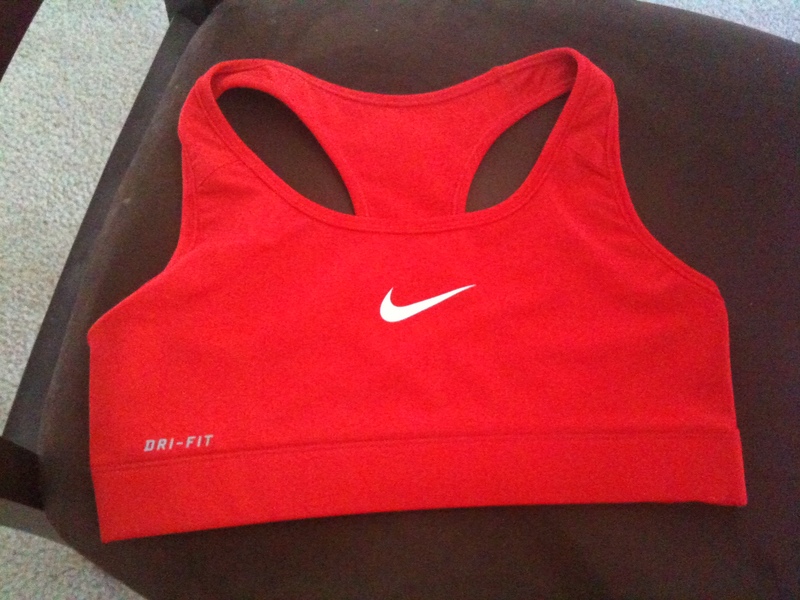 On Sunday I took a trip to T.J. Maxx and found this sports bra normally priced at $32 for a mere $12.99. It feels great, it was a great deal, and it’s pretty. What more could a girl want?! I have been thinking about my diet a lot lately and realized that while I get a lot of nutrients from many food sources, one major thing that I am missing is Omega-3’s. With all the joint work I do, no wonder I’ve had pain. I don’t eat salmon or any other fatty fish twice a week (as recommended) nor do I take fish oil supplements because I believe in getting nutrients from food first. I have been eating more soybeans lately, but one serving of those only equal about 55% of your daily value of Omega-3’s. I’m not a big fan of walnuts on a daily basis, so that left me with flaxseed. Flaxseed is more easily absorbed when it’s ground, but keeping it fresh is hard to do because it goes rancid pretty quickly due to the fat in them. 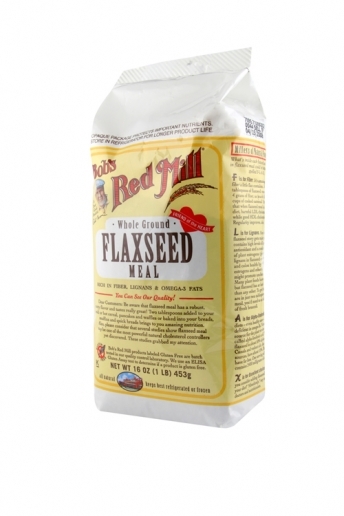 Keeping ground flax in an opaque container and refrigerated is how to extend its shelf life. I bought the whole flaxseed thinking I would just grind them up in my food processor to add to my food. Wrong. The seeds are too tiny to be crushed in a big machine. I don’t want to buy a coffee grinder and I don’t have a mortar and petal. So what’s a girl to do? Ch-Ch-Ch-Chia! 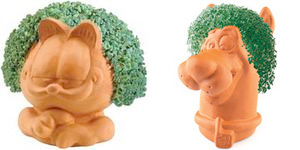 Yep, your Chia pets were growing a TON of nutrients for you and you didn’t even know it. I have been looking at the major differences in chia seeds vs. flax and the benefits are pretty similar. Chia seeds have less of a nutty flavor so they are easier to hide in food without altering the taste, but they don’t have ALL of the minerals that flaxseeds do. They are however, a great source of omega-3’s (a little higher than ground flaxseed) and you only need 1 tablespoon for the benefits instead of 2 tablespoons of flaxseeds. They also have a bit more fiber than flaxseeds. I’ve been putting them in my green tea, my yogurt, cereal, and oatmeal for the added benefit. When they are in a liquid they gelatinize, so when they are in our stomachs, they expand to make us feel fuller, longer. It’s a pretty great super food! I think after I’m through with this bag though, I will switch to flaxseed. I get pretty full after eating them and I don’t really like the texture to chew them up. They can be kind of messy if they spill, too. I will have to try out the bag of ground flax instead of whole flaxseeds before I can be a true judge. It’s Bark in the Park tonight, so we’re off to take Owen to another baseball game! 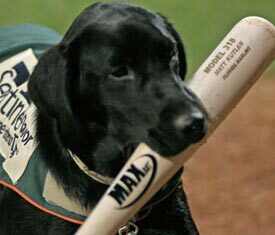 Below is Greensboro’s “Bat Dog,” Babe Ruth. Watch him in action! How do you get Omega-3’s in your diet? 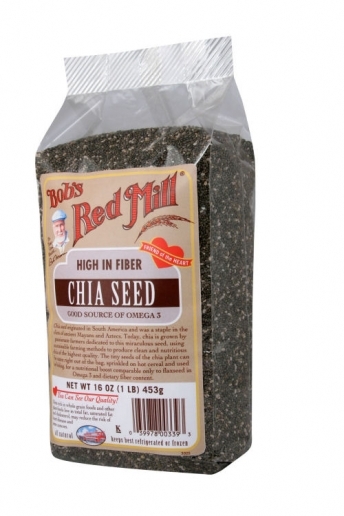 Have you tried Chia or Flax seeds before?